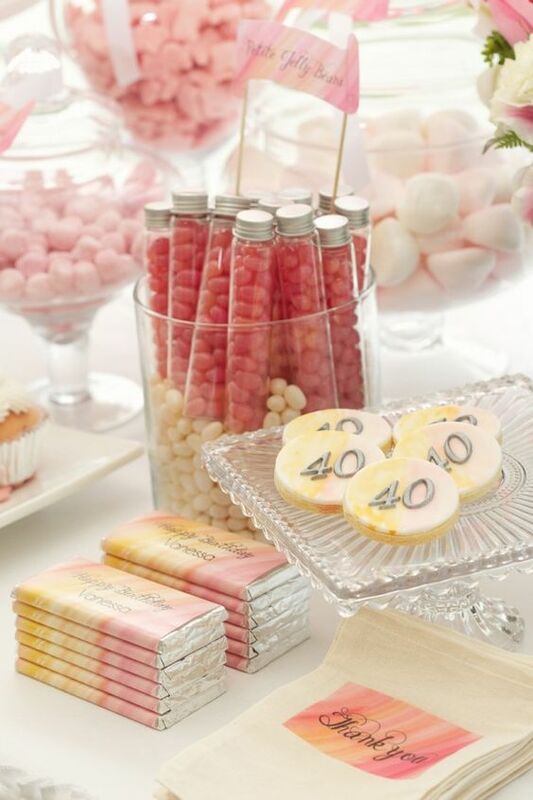 40s are amazing! 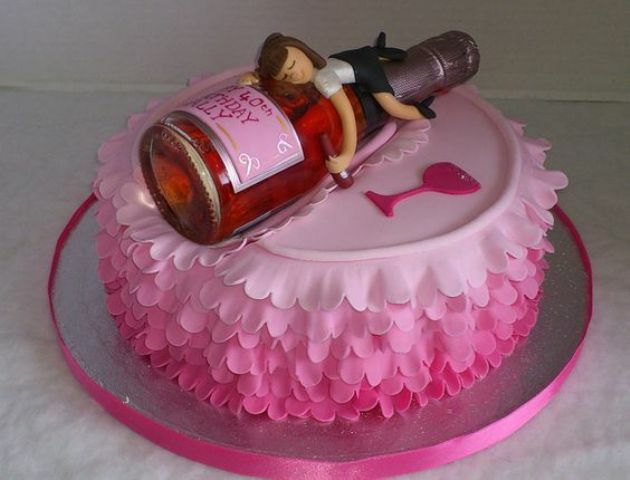 And if you coming closer to this age, it’s high time to think over your 40th birthday and what it would look like. 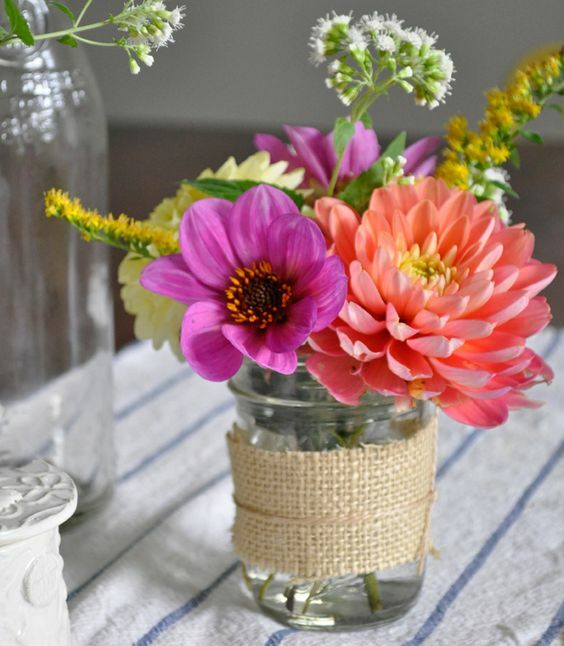 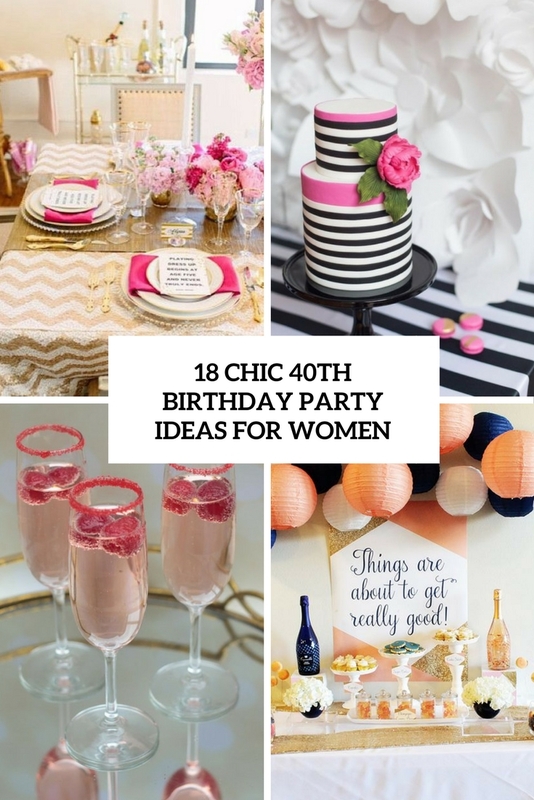 This is a great date and you should celebrate it the best way possible, so first of all, choose a theme for your party and the colors you wanna use for the décor. 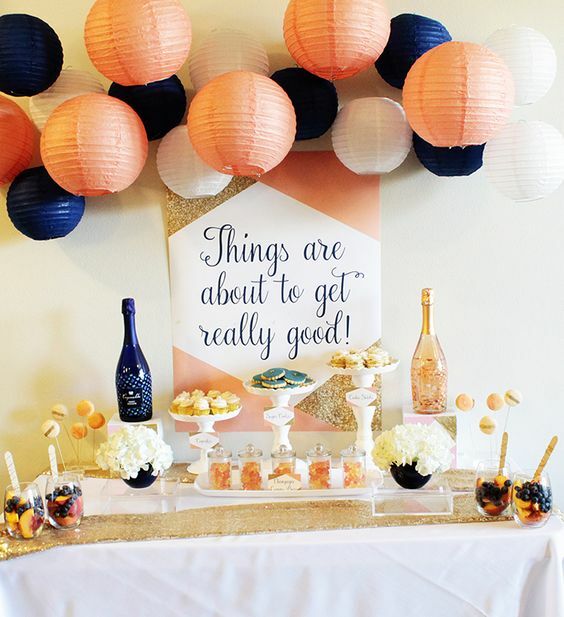 Stick to the and go decorate and serve treats! 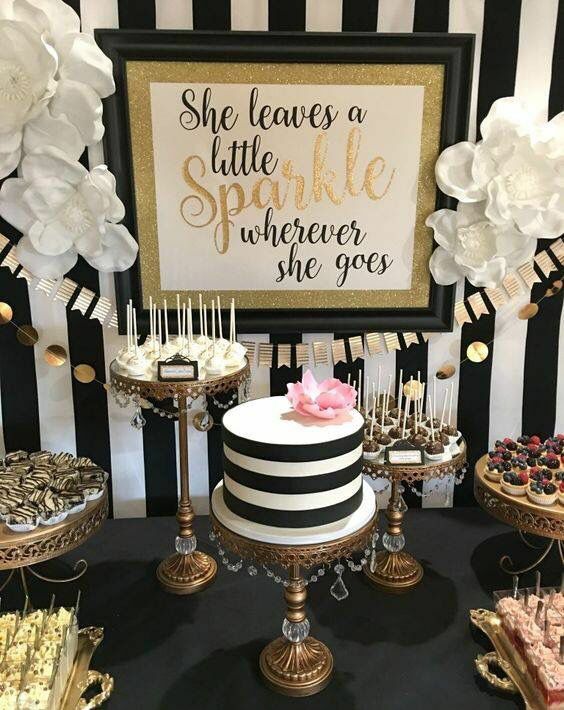 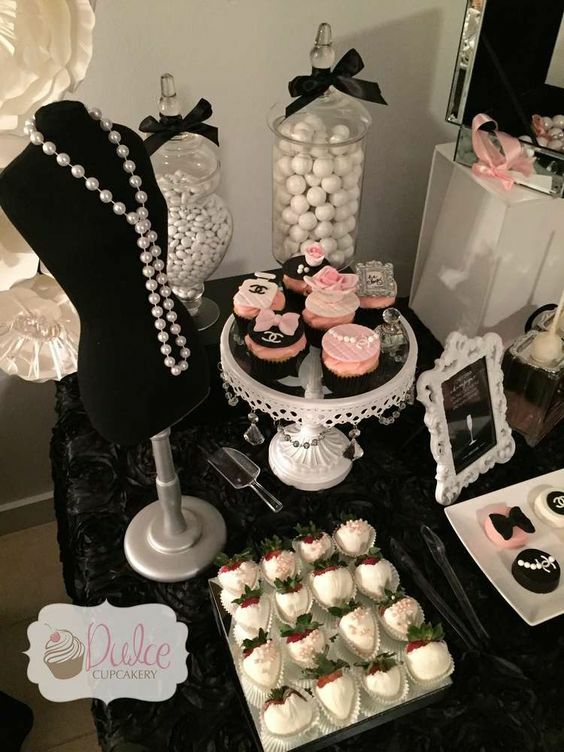 Glam parties are the most popular ones for girls of any age, so many women choose Chanel, Diva and just sparkly glam décor for their parties. 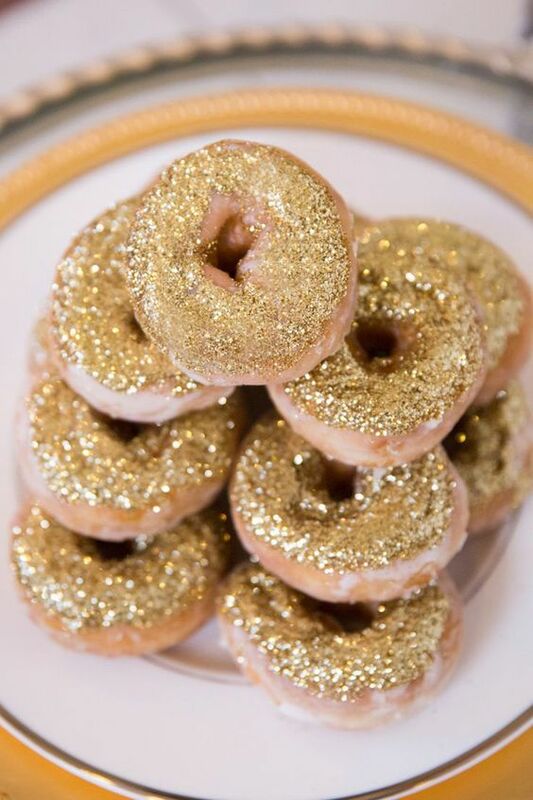 These are usually black and white with addition of hot pink or sparkly gold. 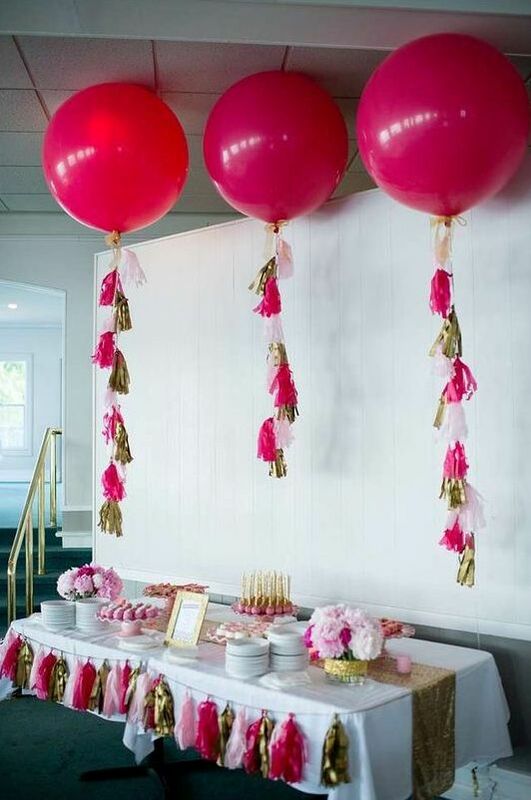 You can also rock boho chic and casual rustic theme, they are also extremely popular and the décor is super easy to realize yourself. 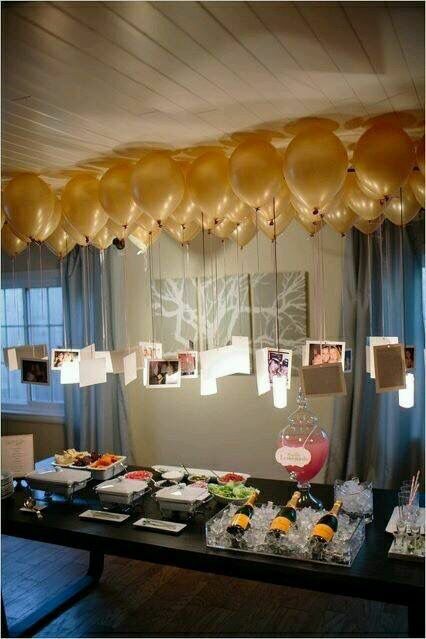 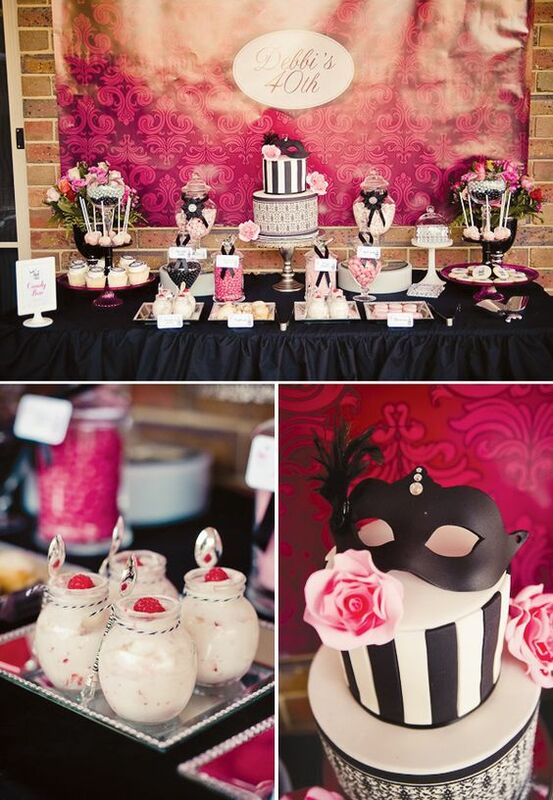 Hang some of your photos on the balloons, cover the tables with sequin tablecloths and enjoy your party! 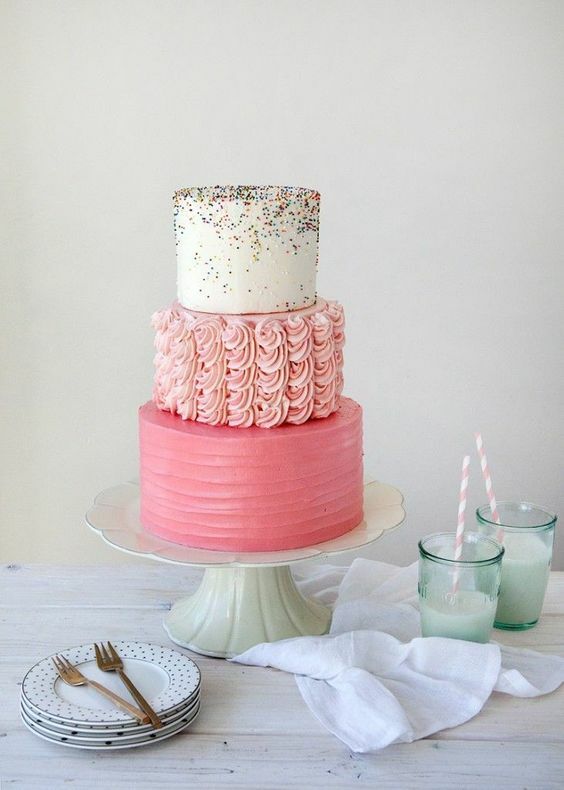 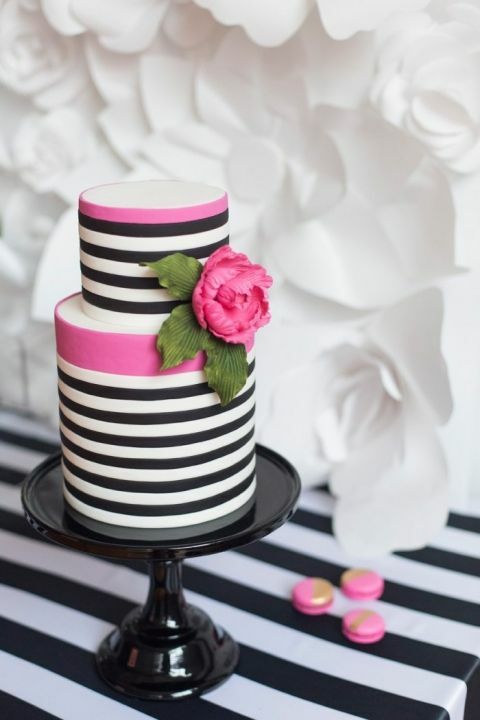 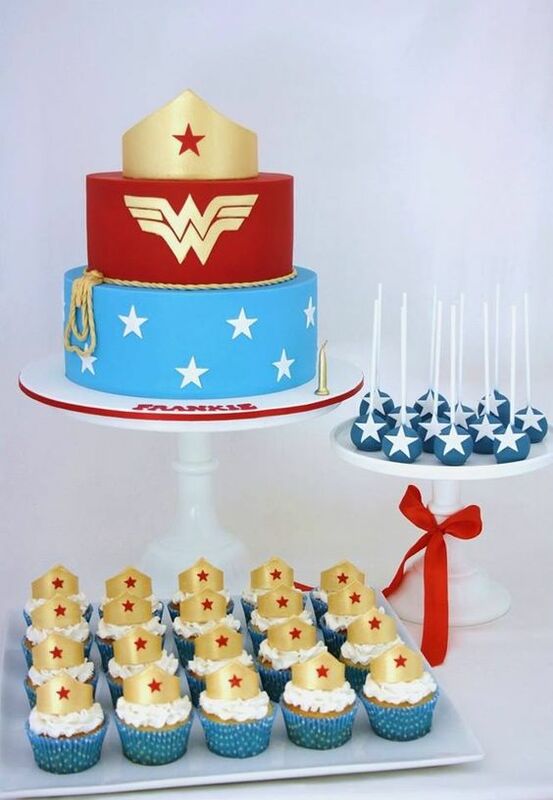 As for treats, go for a super cool cake! 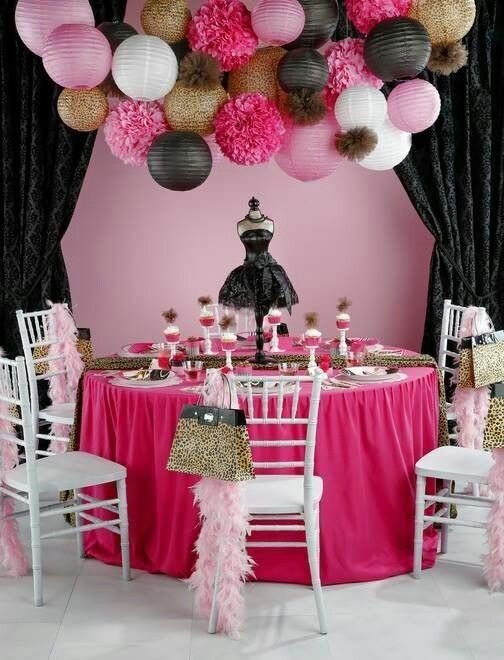 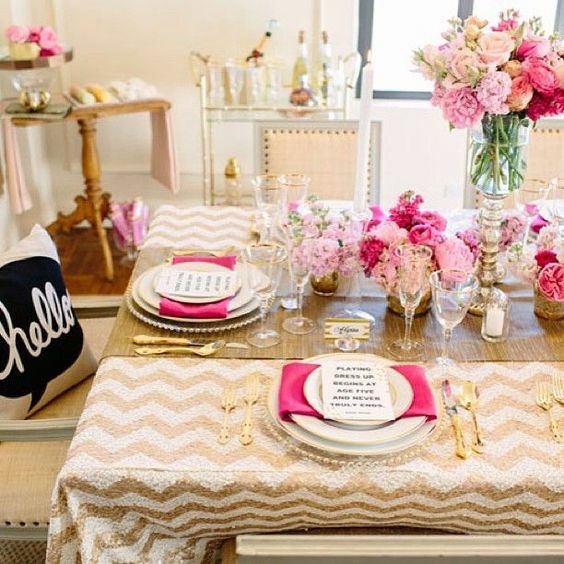 express your personality in it: it may be super elegant and stylish to match your party theme, it may be glam and sparkly if you’ve chosen a glam party theme. 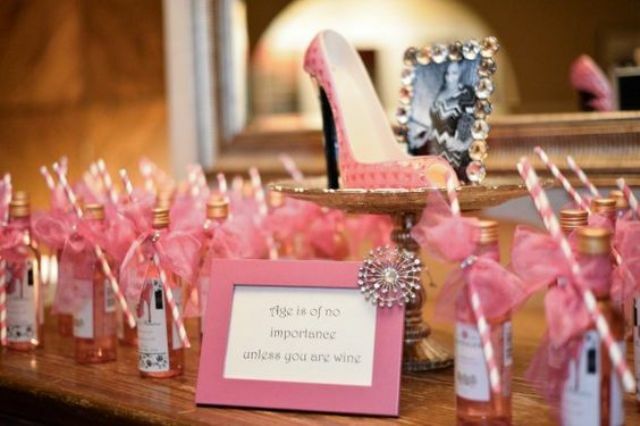 it can also be humorous with a bottle and funny figurines, or with a chic sparkly high heel to express your love to cool shoes. 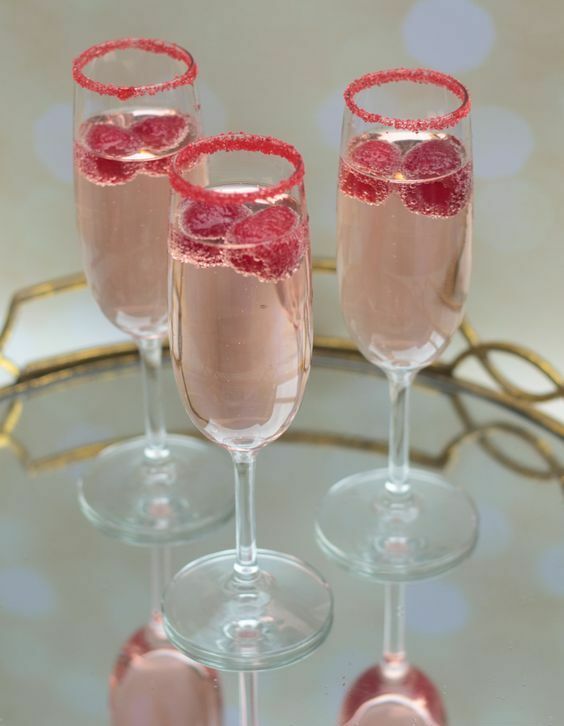 If it’s a glam soiree, you can cover the desserts with edible gold and serve amazing cocktails with fresh berries. 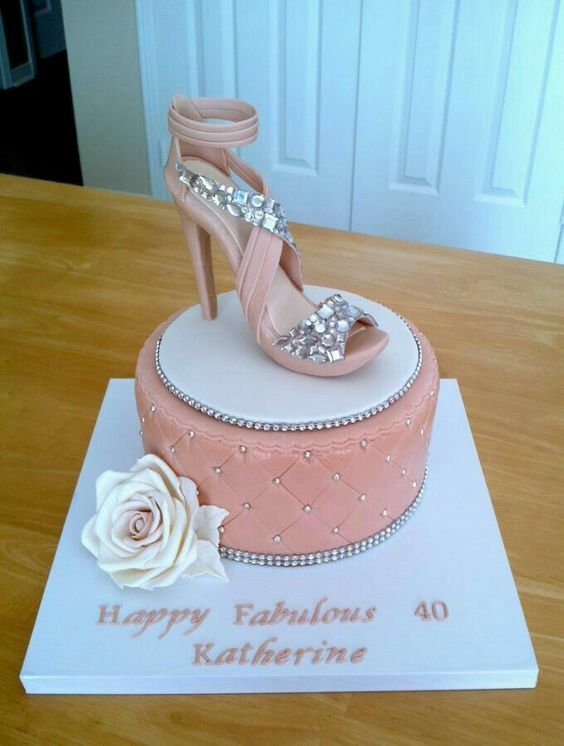 Be 40 and fabulous!